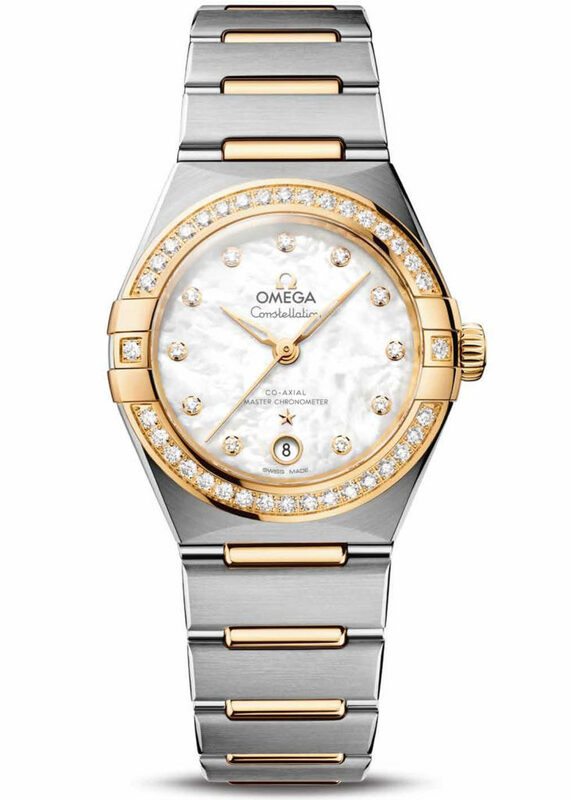 Since 1952, the Constellation has been OMEGA’s symbol of unrivalled precision and beauty in watchmaking. Now, the collection offers a revitalised selection of models that retain that iconic spirit, but also offer many modern touches of design and technology. Today’s 5th generation makeover is based on the Constellation’s famous “Manhattan” style, which has been loved by women since 1982. Every part of the design has been modernised. Whether you choose a model in 25 mm, 28 mm or 29 mm, you’ll discover a wonderfully feminine feel as well as a truly exquisite finish. From every angle, the differences are clear. Firstly, the iconic claws have been given a slimmer look, while merging gracefully into the bezel and case. The bezels are also more slender, with thinner Roman numerals, or diamond-setting that is compact and flawless. New bevelled edges along the case and bracelet help every model to appear slimmer and more feminine. The teeth of the crown also have a half-moon shape, following the iconic facets of the case. A wide range of captivating new dial colours has been added. You can also see that the date window is now at 6 o’clock and the hands have been given a slimline update in the shape of a skeletonised leaf. Quartz models come with the Constellation’s familiar bracelet, while the 29 mm models have been given unique bracelets with polished mid-bar links. 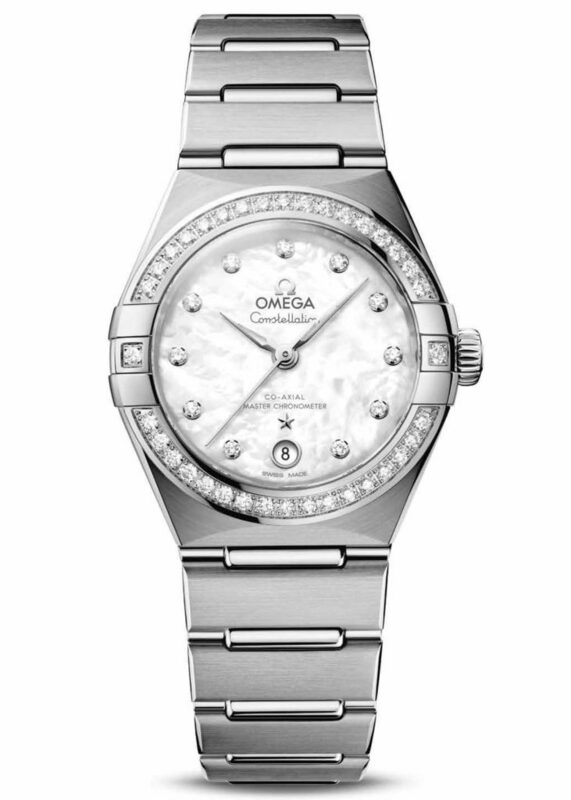 All the clasps carry the OMEGA name and logo, as well as polished half-moon facets. A discreet release button also allows the wearer to extend the bracelet an extra 2mm to adjust the fit for greater comfort. Each of the new 29 mm Constellation models carries the OMEGA Master Chronometer Calibre 8700/8701, certified at the highest level of precision, performance and magnetic resistance.